A lot happened this week but most importantly no one died… I mean no dogs died. Except maybe in Mexico which is where Matt Sadler went. He will tell you all about it plus, Ryan and I will sing Falco. Hope you enjoy it! Poor Dog, He Survived Though! 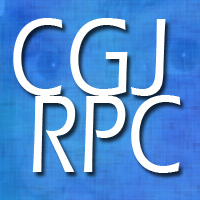 CGJRPC Ep 33 | Fires, Broken Wiener and What Happened to Charlie Hodge? ← CJ wants to work for YOU, the people (Now Accepting Donations).